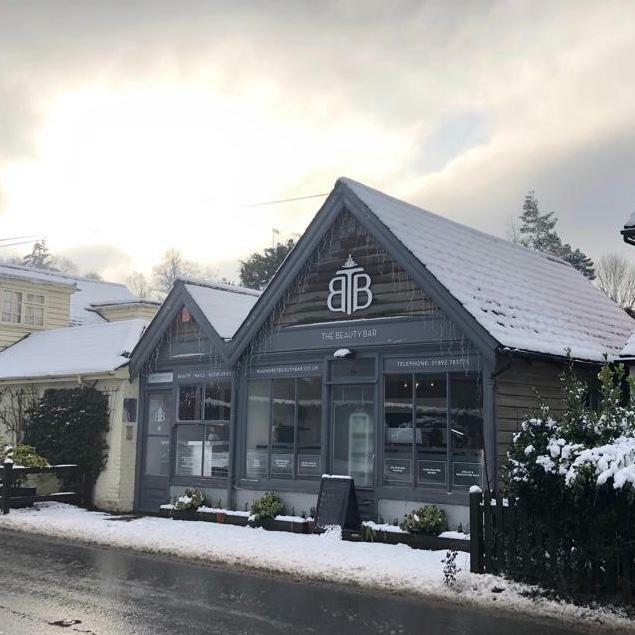 The Beauty Bar is your local salon situated close to Wadhurst train station, based in the newly renovated Old Antiques Shop. With a relaxed and social atmosphere, we aim to make you feel welcome and as comfortable as possible. Catching up with friends, a glass of your choice and a good looking set of nails are amongst the best things in life, which is why we've bought them all together. Not only do we have one of the best stocked nail bars in the area, we also offer a huge range of advanced aesthetic beauty treatments at our specialist clinic within the salon, offering everything from CACI to Medical Needling through to Botox and Fillers with highly trained and experienced practitioners. We have the highest standards in all aspects of your experience here, and for us, maintaining those standards is extremely important: it's about the quality of our products, cleanliness, training and exceptional customer service. Our trained and talented team aim to achieve the highest levels of customer satisfaction whilst carrying out all treatments, including advanced aesthetic treatments such as collagen induction therapy. We also offer custom nail designs, all designed by members of The Beauty Bar Team. We pride ourselves in using only the best products here at The Beauty Bar. These include; Environ Skin Care, Delilah Make Up, Crystal Clear, Caci, Lycon Wax, CND Shellac, Biosculpture Gel, LeCenté Glitters, Vinylux, OPI and Jane Iredale Mineral Makeup....and many more! We understand the importance of fashion and colour and pride ourselves on keeping on top of the latest trends and designs. At present we have over 200 gel colours to choose from! The Beauty Bar was idea of Emma, who was looking to expend and grow her beauty boutique brand, with the aim of bringing something refreshing and new into the Wadhurst area. The idea to bring fun treatments, excellent refreshments all armed with a team with a thirst for knowledge and exceptional skills, The Beauty Bar was born. Pampering treatments, a chilled vibe, all paired with great drinks = perfection. Working together with a team of girls, all with a crazy passion for all things beauty, we have bought Nails and Beauty all under one roof, we are your one stop shop to get ready before an event, catch up with friends or to take that much needed you time, you can trust us to make you look and feel amazing, and we are looking forward to meeting you. Our opening hours reflect that we know not everyone's available between standard working hours of 9-5, which is why we have some late nights until 9pm. Keep your eyes on our Website, Facebook, Twitter, Pinterest and Instagram pages for all the latest news, our regular events, offers and inspiration from the most unique salon in Wadhurst.